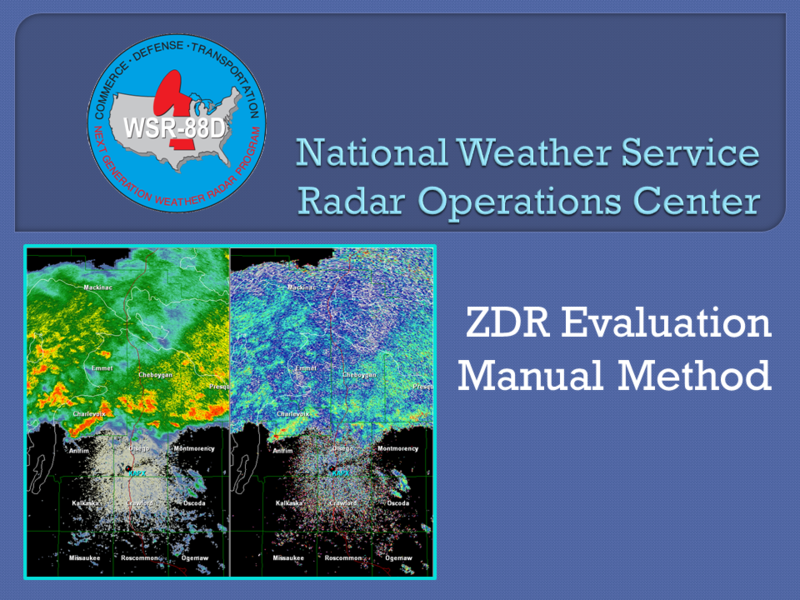 This briefing provides guidance on evaluating Level II ZDR data. 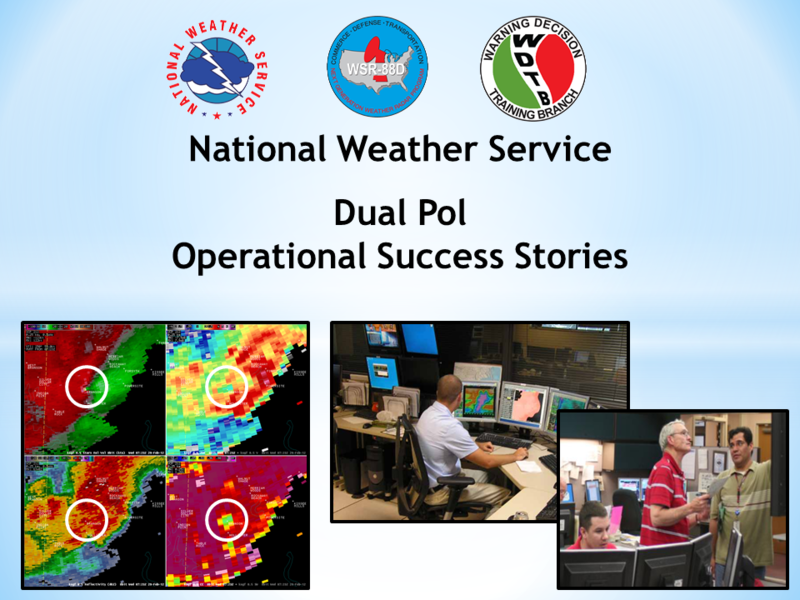 Dual Pol has provided valuable information to forecasters in a variety of situations, ranging from tornadoes to smoke plumes. 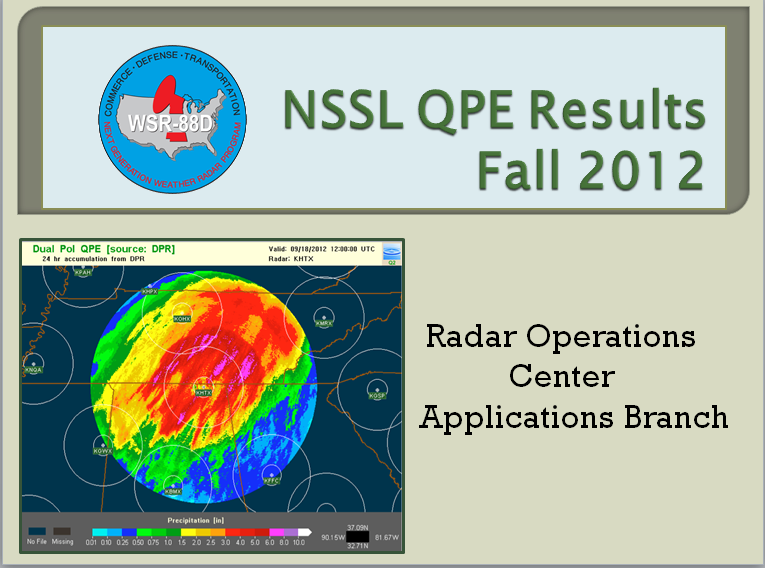 Click image to view presentation "ZDR Evaluation Method" Click image to view presentation "NWS Dual Pol Success Stories"
This briefing provides results from an NSSL evaluation of Dual Pol QPE performance vs. Legacy PPS. 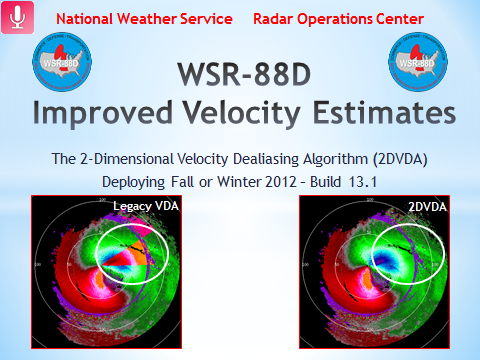 The 2DVDA is a new velocity dealiasing algorithm that will improve velocity measurements in hurricanes and other high shear environments. Click image to view presentation "An NSSL evaluation of Dual Pol QPE performance vs. Legacy PPS" Click image to view presentation "The 2-Dimensional Velocity Dealiasing Algorithm (2DVDA)"
This presentation highlights the impacts of Dual Pol on the aviation community during winter weather. 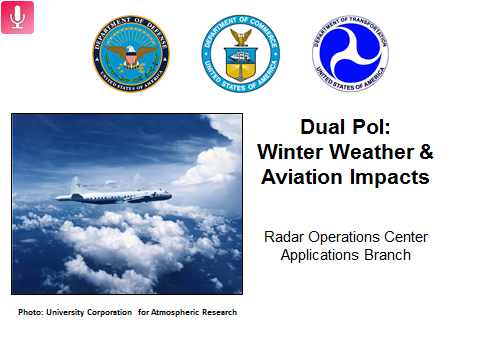 Click image to view presentation "Dual Pol: Winter Weather & Aviation Impacts"
These presentations require Adobe Flash Player. If you don't have Flash Player installed you can get it Here.